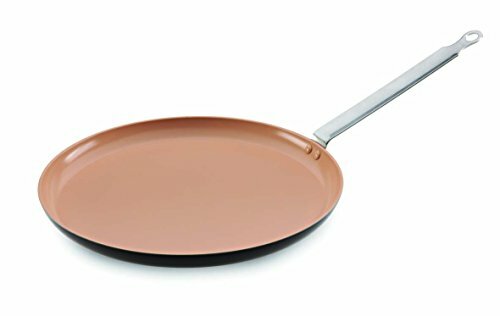 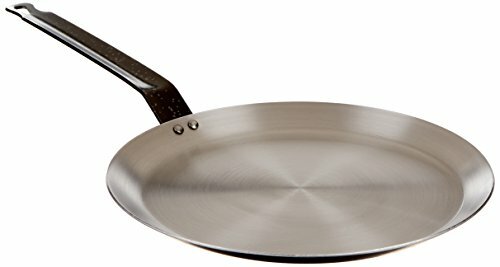 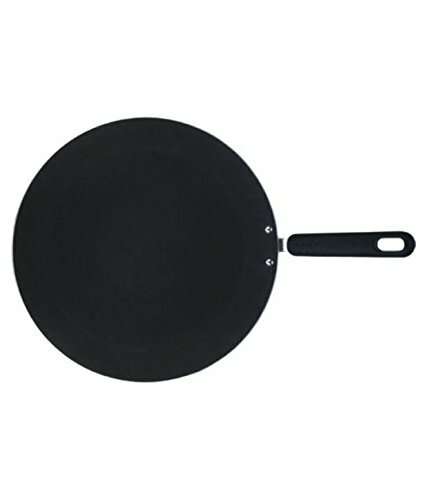 Circulon Genesis Stainless Steel Nonstick 12-1/2-Inch Covered Deep Skillet ~ Crepe Pans ~ Rika Jones - buy kitchen cookware with confidence! 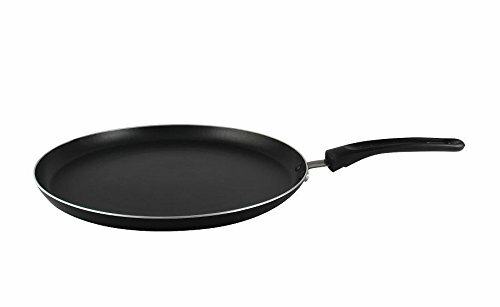 Combining nonstick cooking's healthy benefits with stainless steel's classic style, the Circulon Genesis Stainless Steel Nonstick 12-1/2-Inch Covered Deep Skillet needs no added oils to create delicious foods that release easily. 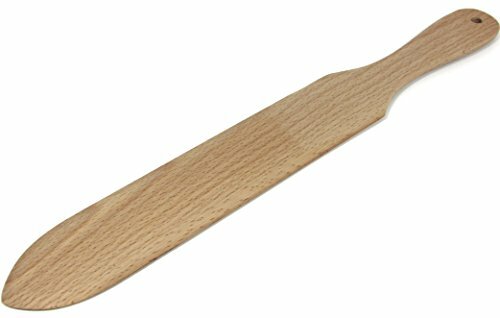 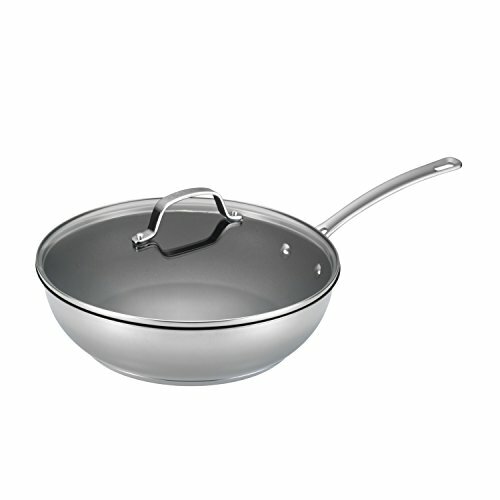 The superior nonstick surface is ideal for sautéing a nutritious medley of summer vegetables and for simmering a hearty meat marinara sauce. 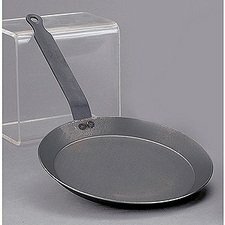 An impact-bonded aluminum base provides even, quick heating and is suitable for all stovetops, including induction. 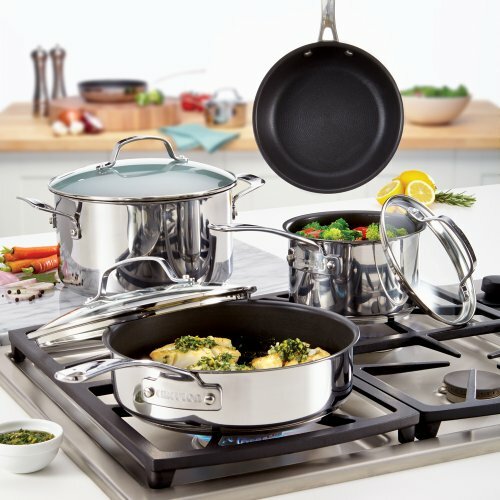 Chic, contemporary polished stainless steel exterior provides stove-to-oven-to-table performance and is easy to clean. 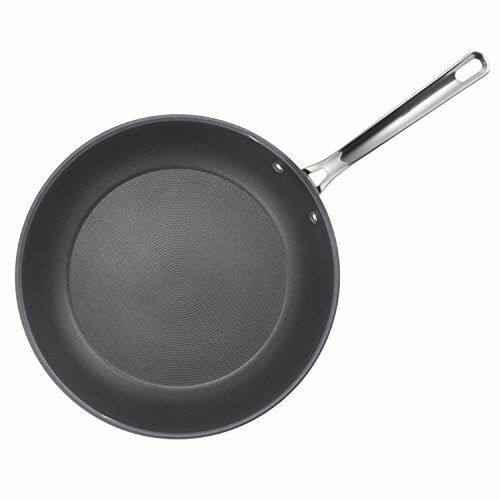 The skillet looks great on the stovetop whether cooking red potatoes and green onions for a family brunch or pork chops with cherry sauce for a dinner with friends. 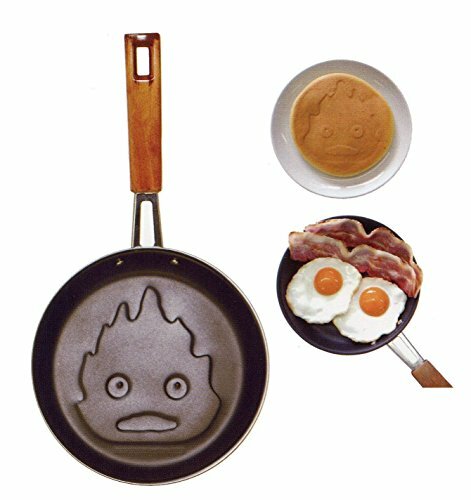 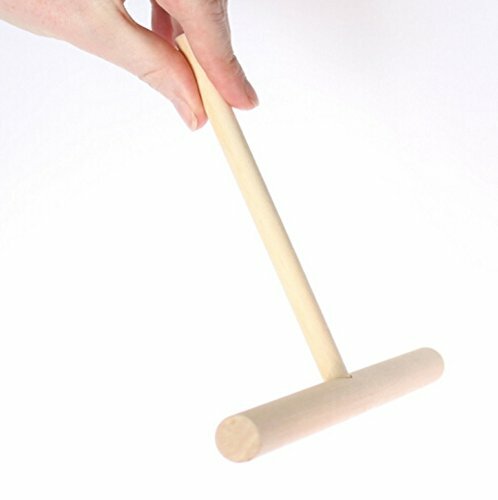 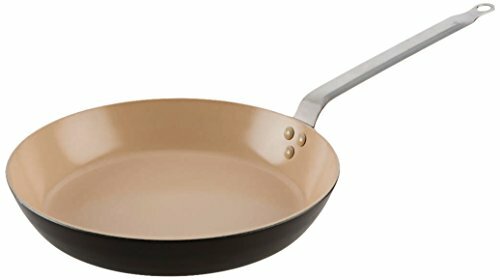 The interior features the unique TOTAL Food Release System that combines PFOA-free DuPont Autograph nonstick with raised circles to reduce abrasion from utensils and resist scratching, staining and chipping with exceptional food release. 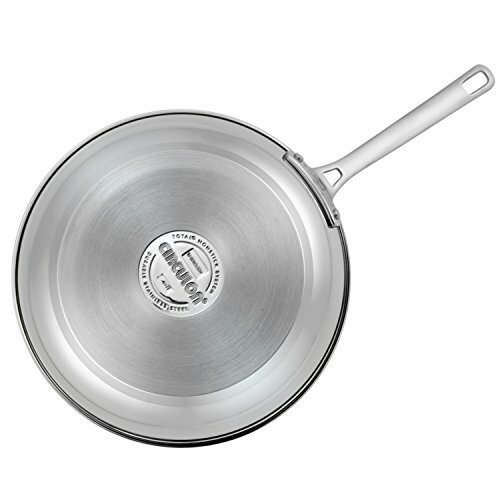 The stainless steel handle is solidly double riveted for strength and the shatter-resistant glass lid allows cooking to be monitored while sealing in heat and moisture. 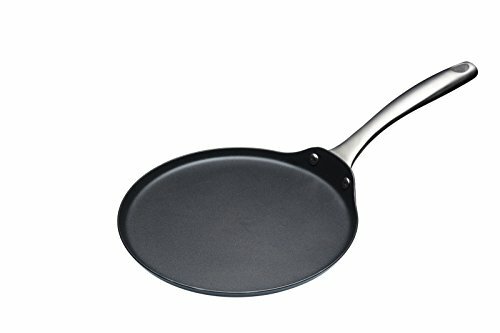 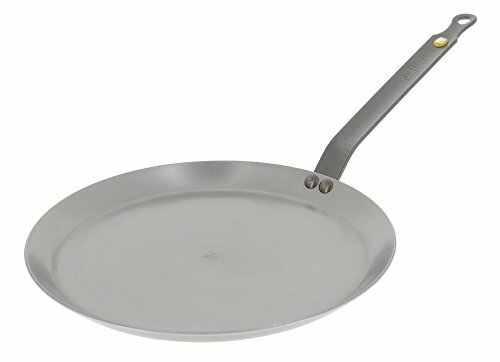 All Circulon Genesis Stainless Steel Cookware, including this skillet, is dishwasher safe and oven safe to 500 Degree F. A versatile and essential skillet in the kitchen, the Circulon Genesis Stainless Steel Nonstick 12-1/2-Inch Covered Deep Skillet is perfect for helping make healthy meals.